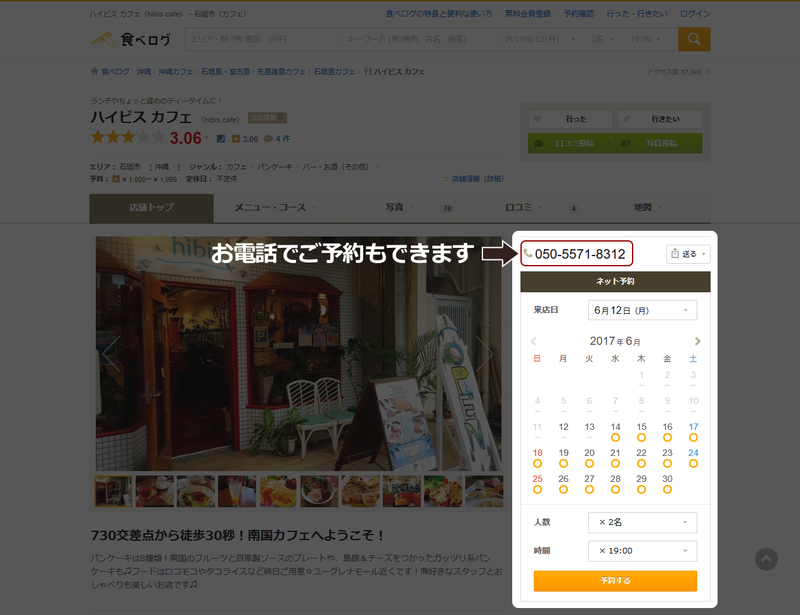 We accept reservations at Hibis cafe TABELOG site. Please make a reservation by accessing the link below. You can also make your reservation by the phone.